The Hosteria Helsingfors, a luxury lodge tucked on the edge of Lake Viedma in Los Glaciares National Park, offers an abundance of luxury lodge activities for guests to enjoy during their stay. 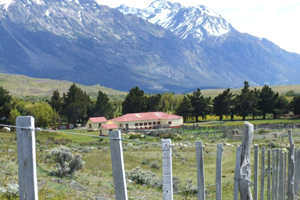 Among the favored things to do while visiting Argentina are trekking/walking and horseback riding, which both provide a marvelous way to embrace the magnificent scenery surrounding the Patagonia lodge. These luxury lodge activities will surely be the highlight of your trip to this rural and remote corner of the wild Patagonia, Argentina. Browse the activities below to learn about these adventures that await you in this special place. A very long walk crossing landscapes of dreams.